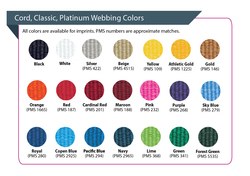 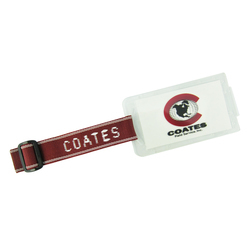 Classic includes 1-color imprint on 1-color webbing. 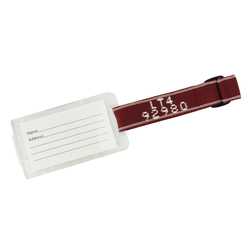 Luggage tag large ID tag fits 2" x 3-1/2" card or standard business card. 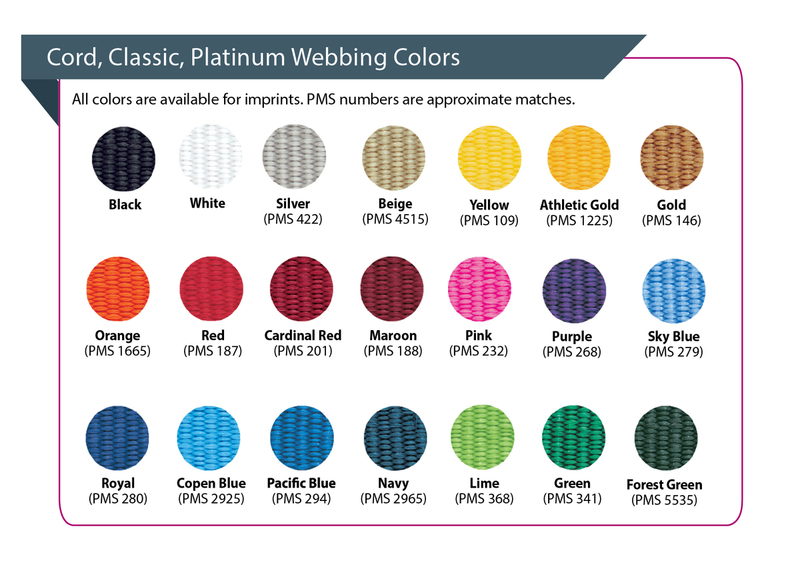 (Note: Optional stripes are an additional set-up charge per color).